In Israel, Tel Aviv Mayor Ron Huldai and his Tel Aviv 1 party have essentially ruled the city without any major opposition for the past 12 years. Slowly, however, that is beginning to change thanks to a new and relatively strange political party - well, they think of themselves as a political movement - called City for All. The local movement was founded just two years ago, in early 2008. It had no affiliations with national-level political parties and was more or less a loose coalition of good governance and environmental sustainability activists from the left, right, and center. Two of those early activists were Noam Hoffstater and Alon Padan. They say that in order for the opposition movement to better understand the policies of the ruling party, they needed more information about how the ruling party was spending its money. And although the municipal government did publish its annual budget - as was required by law - it did so in PDF format, which does not enable citizens - or computer programs - to easily analyze the data. Noam and Alon created Our Budget to put the budget into a spreadsheet format, and to analyze it using a computer program so that Tel Aviv residents had a clearer idea of how their government was spending taxpayer money. As already mentioned, one obstacle is the fact that it is not user-friendly enough. Another major obstacle is the fact that the budget itself doesn't contain much of the information that is needed for its proper understanding. Sometimes it is not detailed enough, often the descriptions are too laconic and unclear, and there are almost no explanations of changes in allocations or of the proportions between them. In general, the logic behind allocations is not given. Regarding the interaction with the user, we are trying to initiate the development of an online version of the tool, the operation of which would be more intuitive. Overcoming the lack of information needed for interpreting the budget depends on the authorities forming a real commitment to budget transparency. We hope that cooperation with authorities in the further development of the project might secure this commitment. The brutal anti-transparency policy of the mayor and his coalition has led to a lack of publicly available municipal budgetary information and a lack of tools for the analysis of trends, changes, and accumulative information in the budget. This ultimately results in a lack of public awareness. On the municipal level, there is a strong tradition of non-participation and information withholding, which has grown even stronger since the current mayor came into office, some 12 years and three campaigns ago. This policy is closely followed by almost all branches of the municipal bureaucracy in Tel-Aviv-Jaffa. On the national level, Israeli authorities have yet to get the public involved in freedom-of-information projects. There are almost no tool kits available for activists, journalists, or members of the general public who wish to get a better understanding of public budgetary information, or of any policy information, for that matter. The press, local and national, does not naturally pick those issues as lead stories. We were members of the Municipality Budget Team of our political movement (Ir Lekoolanu) and that is what the team decided we should do. The public value of the project was evident from the very beginning, and so it was an expected political gain. It seemed a good way to make a public move which would both effect information reality and be in our best interests politically, publicly, and education-wise. This project uses the advantage of our movement's more progressive agenda and bypasses the main weakness of serving as an isolated opposition with little power to make a change through formal municipal bodies. Surely. Since our project went live, the Tel-Aviv-Jaffa municipality has enhanced its efforts for transparency. These efforts have led to the uploading of a PDF file of its budget to the municipality website. But, at present, that's where efforts end, so we are still the only ones - in Israel, not just in Tel-Aviv-Yafo - who provide free access to budgetary information according to the users' interests, and also the only ones enabling users to view graphs of budgetary changes over time (a four-year period overall) in items selected and filtered by the users. This is their ideology. The mayor and his spokesperson have explicitly admitted it so several times, on- and off-record. We're not sure. Our project is not user-friendly enough, and the interface seems to have made many potential users turn away with appreciative yet unenthusiastic eyes. Every now and then, though, we hear people talking about getting information through the project (named 'TAKZIVULATOR' - 'Takziv' is Hebrew for 'budget'). We have also had a few meetings with officials from various government branches who got to know the project through a Freedom Of Information conference we participated in during the campaign. Yet again the municipality uploaded a PDF of the full budget to its website, and it is about to face a lawsuit based on our information, our campaign, and the model for information availability provided by our project. During the last six months of 2009, the answer was about 60 hours or more. This year, we spend about 10 hours a week between the two of us. Now that the first campaign is behind us, we have a lot of other stuff to do. Though we only update the website occasionally, we have several things in the works. We are about to move on the municipality with a legal suit, demanding the release of the budget as an Excel file. The legal case is supported by the Movement for Freedom of Information in Israel. Meetings and building contacts for the future - national stage - of the project. We deduce questions from our party's agenda and try to check them through our project, which allows good access to different types of budgetary analysis. Oftentimes, results then need to be checked in greater depth - for meaning or for more detail about why or how this or that budget went up or down - so that we get a better understanding of what is actually happening. We also search the budget inductively for curious changes between years or units, then further check interest results flowing from those. In some cases, our information has led to articles in the newspapers regarding specific budgetary issues. When possible, we also supply journalists with data according to their needs. After intensive research and initial development efforts in the second half of 2009, the project's resources are now invested in lobbying decision-makers for wider adoption of the open budget approach. These discussions are still in the early stages, and Our Budget will update project followers on progress both on our website and through the Technology for Transparency Network. Bringing such a project to national scale is a serious undertaking that can have widespread, positive implications. To truly take advantage of this opportunity - revolutionary in Israeli terms - will require adequate resource and time commitment from the public sector. We don't. There is no need for people to identify themselves on our website. Initial awareness was created by coverage in major Israeli newspapers, news websites, some TV and radio shows, and many blogs. We also had our own website and a Facebook page that were active around the time of the last budget proposal. But besides that, we thought it important to just go out to the streets and tell people about the project face to face. One of the times we did that, we held a big projection on the wall of the city hall, showing people our project and the details of the municipal budget. Probably the coverage in the mainstream national media. It depends on the type of participant. Our project makes effective access to the municipal budget possible – a member of the city council could use it to better understand what she votes on; journalists and advocacy organizations can use it for monitoring the budget in their area of interest; a citizen may use it if she wants to know what the municipality is doing with her money, or if she is unsatisfied with the services she and her family are receiving from it; and access to budgetary information can empower her if she demands an improvement. We could be assisted by experts on data visualization and database programming, and people with experience in budget transparency projects. We do not know yet. Up until now, we conducted an almost zero-budget project based solely on voluntary work. At the current moment, it seems that sustaining the project depends on its improvement, and that would require funding. We are working with the Movement for Freedom of Information in Israel, which is being very helpful in promoting awareness of the project and in giving us legal support concerning the municipality's refusal to publish the budget in a spreadsheet format. Since our project is a new tool, the answer is, of course, yes. We now wish to develop an online budget analysis tool that would replace the current one which is implemented in Excel. We are also considering the integration of available tools, but it seems that the configuration of functional attributes and tools we seek will, to some extent, have to be custom-made. Very recently, some government officials have shown interest in our project. We are being hopeful, but it is too early to assess the potential of this communication. It would be very good if a law or regulation had explicitly instructed all municipalities to publish their budget in electronic spreadsheets. But even the existing Freedom of Information Act should suffice to oblige the municipality into publishing the budget in the requested format. Therefore, we believe that legal advancement could be achieved by a court's application of the law to our case, which would solve the problem in Tel-Aviv-Jaffa and also set a clear standard for the rest of Israel on this issue. As mentioned above, this is indeed our next step, coming soon. You may find interest in NPTech – a nonprofit that aims to facilitate and better the usage of information and communication technologies by nonprofits. We do not know them personally, we just know of them. We would come up with a tool which, given a typical (and standard) budgetary structure and data in an open format, would allow for the friendly online analysis of any budget, according to parameters similar to those available in the original project. We would also like to turn the website into a platform for information sharing and discussion about the budget. Another idea we are currently looking into is uploading relevant data to a map system that would allow for geographic presentation and analysis of budgetary information. 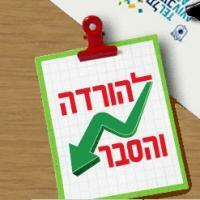 We are planning to continue analysis of the Tel-Aviv-Jaffa municipal budget. This year we will probably consider geographical aspects of the budget. We also hope to find the resources to start work on the online version of our project.